Sales of "dumb phones" have risen as more andmore of us attempt to escape smartphones andsocial media, figures have revealed. 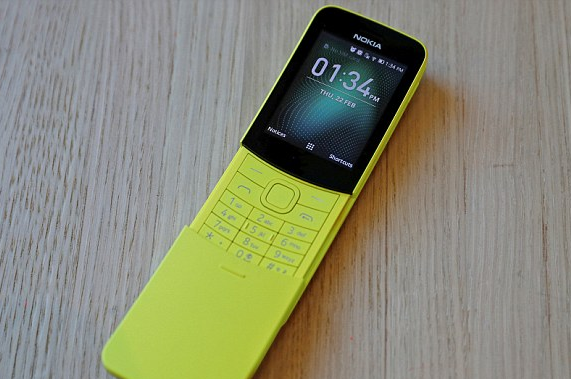 The devices, also known as "feature phones", allowusers only to make and receive calls, and do notfeature the internet or other apps. They are seen as a way to switch off from constantonline connectivity. The no-frills handsets are also popular with older shoppers. While global sales of smartphones increased by just 2% last year, sales of dumb phones roseby 5%, the figures show. It comes after a report by Ofcom found that 78% of Britons admitted they could not livewithout their smartphone, spending an average of two hours and 28 minutes online on it eachday. Psychologist Dr Daria Kuss said some smartphone users 'may be aware that they're using it toomuch, however they can't stop themselves'.